Tyler Trovato loves his peanut butter and jelly sandwiches with a glass of milk, but if he diverges from that and a handful of other foods, the 6-year-old goes into a fit of vomiting and lethargy so severe that he has to go to the emergency room. The St. James, N.Y., first-grader is allergic to just about everything else -- chicken, turkey, rice, sweet potatoes and bananas, and more. As an infant, he was even allergic to his mother's breast milk, and she was a vegetarian. "He was vomiting -- sometimes 15, 20 times," Jennifer Trovato, 37, told "Good Morning America." "He would lie there. He was lethargic. I would hold him in my arms, and I just didn't know what to do. " Tyler has food protein induced entercolitis syndrome, or FPIES. The allergy does not cause a typical immune response, and therefore is often missed by pediatricians and allergists. "It's so upsetting," said Tyler's mother. "There's no words to describe when you see your child so sick like that." Experts have no idea how many children have FPIES, but today, for the first time, the Centers for Disease Control and Prevention has approved a new International Classification of Diseases code to help doctors identify the disease. "This is monumental," said Fallon Schultz, founder of the International Association for Food Protein Enterocolitis. "We are making an invisible disease visible. Our children's disease is a real disease. It will open the doors to research." Schultz worked closely with the foundation's medical advisory board to get approval from the CDC. This new diagnostic code will take effect in October 2015. Now researchers can learn how common FPIES is, and locate patients based on the diagnostic code to take part in prevalence studies. 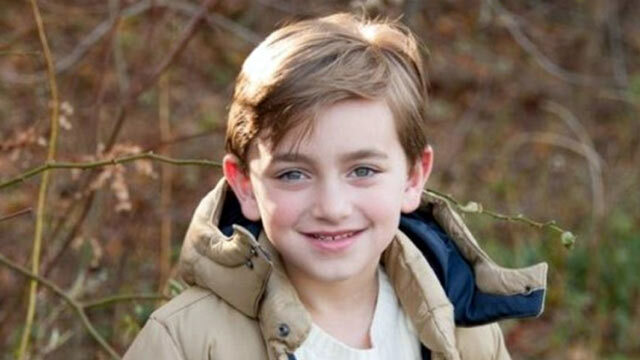 Schultz, of Red Bank, N.J., is the mother of Landon, a 4-year-old with FPIES. He can eat only seven foods, along with elemental formula. He just recently had a setback, failing a food test with wheat. Like Landon, Tyler Trovato has to be hospitalized before he can try a new food. If he ingests a food he is allergic to, Tyler begins to have stomach pains about two to four hours after ingestion, and then he vomits, sometimes so violently he bleeds. Diarrhea follows, and then a shock-like response. Just this week, he ate penne in vodka sauce, a food that usually does not pose a problem, but the restaurant used chicken stock instead of cream. "As we were driving home three or four hours later, he wound up having a reaction," said Trovato. "My husband had to pull over on the Long Island Expressway because he was sick all over." Peanuts and dairy products are notorious offenders for children with food allergies, but in FPIES, there is an allergic reaction in the gastrointestinal system. The most common triggers are milk and soy, but any food, even rice and oats, can cause a reaction. Unlike most food allergies, a FPIES reaction is delayed and usually begins two hours after ingestion of food culprits. In an IgE mediated food allergy -- an allergy that produces an abnormal response to specific foods -- a child develops symptoms almost immediately after eating. And when blood and skin tests are carried out, there is a positive marker. A non-IgE mediated food allergy such as FPIES is especially difficult to diagnose because standard skin and blood testing for specific IgEs are routinely negative. Tyler saw two pediatric allergists and two gastroenterologists before anyone could figure out what was making the little boy so sick, because all the standard allergy tests came back negative. Finally, at 18 months, he was diagnosed. "It was stressful for us as parents," said Trovato, a kindergarten teacher. "We knew there was something wrong. Now we are part of a study, and we are glad to do it, educating others." The new diagnostic code will help researchers like Dr. Anna Nowak-Wegzren of Mount Sinai Medical Center in New York City to learn more about these allergies and to find better treatments. Right now, doctors can only do "challenge testing" -- slowly introducing a child to a new food and waiting to see the reaction and to supplement the diet with elemental formula. "We don't have good data about the prevalence of these disorders, and studies can be very expensive, since there is not an easy test," said Nowak-Wegzren, who is treating Tyler. "Because these allergies are so elusive, pediatricians don't know about them. We are trying to raise awareness." She said more allergists need to be familiar with the insidious and dramatic symptoms of non-IgE food allergies. "There are no hives or wheezing, and they may vomit 15 to 20 times," said Nowak-Wegzren. "They look very sick, and their coloring is off and they are gray and ashen and their blood pressure may drop. Some go into shock and end up in the emergency room." FPIES can also increase the white blood cell count, mimicking infection, so children are subjected to a variety of unnecessary tests. "It's not uncommon to have children come in three or four times on an ER visit before the mother notices every time she gives her child rice, this is happening." Still, Tyler, a big Yankees fan and now in first grade, is doing well. He has outgrown some of his original food allergies. "He's come a really long way," said his mother. "He can eat wheat, cheese and milk products, plus corn and apples." "The local pizzeria knows us because if I call and order, they know to use a clean cutter," said Trovato. "One time he had a bad reaction, so I have to be really sure it's clean before they slice it and sometimes I have to wait around for a new pie to come. You would be surprised at all the things he is allergic to, so we have to be careful not to cross contaminate."